"I have always had a great deal of admiration for Mrs Thatcher." 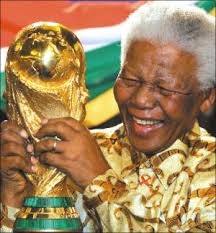 The generosity of spirit of Nelson Mandela was on display in an encounter which took place in Edinburgh on 27th October 1997. He had been awarded the freedom of the City of Edinburgh but was on a very tight schedule that day. Only a brief visit to Edinburgh was possible. I understand the ceremony took place in the Caley Hotel on Princes Street after breakfast. 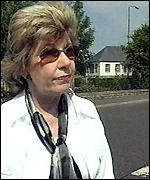 Daphne Sleigh was the leader of the opposition Conservatives on the Council and in that capacity was a member of the welcoming councillors and dignitaries from the city. A formidable woman in her own right, she was somewhat apprehensive as the great man was introduced to, and shook hands with, the Conservative leader in Edinburgh. "Conservative", she recalls he said. She admits trembling as she wondered where, if anywhere, the conversation would now go. It was a remarkable vignette (not picked up by the media of the time) of the gracious spirit of the great man's ability to rise above differences. It is a reminder to us all that in his life, a generosity of spirit vanquished hatred. It was a remarkable example to set to his nation and worthy of remembering. Note. In 1990 Mandela made two visits to London. He was reportedly furious that in the first visit he was blocked by the ANC from meeting Mrs Thatcher, who was still Prime Minister. But he telephoned her and he describes in his autobiography her kindness in urging him to reduce his punishing schedule for the sake of his health. He did have a three hour meeting with her later in the year. He notes that he did not make any headway with her on sanctions but that she "chided me for not taking her advice and cutting down on my schedule". A Long Walk to Freedom, 1994, chapter 104.